From Edible to Printable, DIY Homemade Valentines For Everyone! Valentine’s Day is just around the corner, and who doesn’t love giving and receiving a handmade card, gift, or yummy treat to celebrate the special day? Whether you have oodles of free time on your hands or non at all, there are Valentine’s treats and projects that will fit into your schedule! I have scoured the internet (ok so pinterest, but really that IS the internet now) and put together a compilation of what I think to be a fantastic representation of the best ideas out there! From toddlers to teens, friends to lovers; there are a plethora of ideas I’ve gathered for you to choose from. Choose from quick and easy to complex and lengthy (but rewarding and impressive), it is all represented here! *Please note, these are not my pictures, all pictures came directly from the post/website they represent. Click on each picture to go to the recipe/how-to! For more great ideas, check out my Valentine’s Pinterest Board! This Chocolate Pomegranate Tart, from Pastry Affair, looks divine! These heart cupcakes are a cinch to make! Love this idea from A Small Snippet! Coupons from Better Homes and Gardens. They have Kids, Adult and even a Blank version! Cherry Chocolate Kisses, from the Curvy Carrot! Super easy Valentines from Spoonful! These Strawberry Oreos from Six Sister’ Stuff look great! I love these easy and beautiful Doily Valentine Decorations from Smashed Peas and Carrots! These handmade treat bags from The Farm Chicks are adorable! These bubbles from Simply Modern Mom are a great non candy alternative! Another great alternative to candy for valentines from dandee-designs! I see no reason to wait till Valentine’s Day for these Dark Chocolate Raspberry Cupcakes with Raspberry Whipped Cream from Ambitious Kitchen! 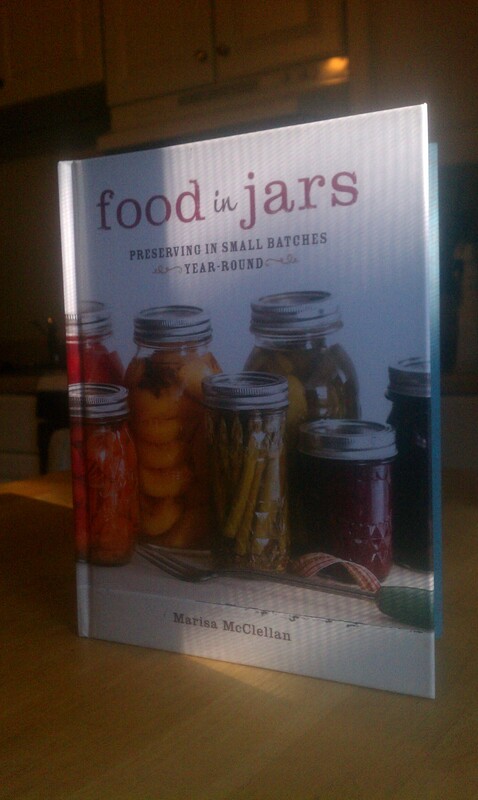 I’m giving away the new Food in Jars cookbook!! 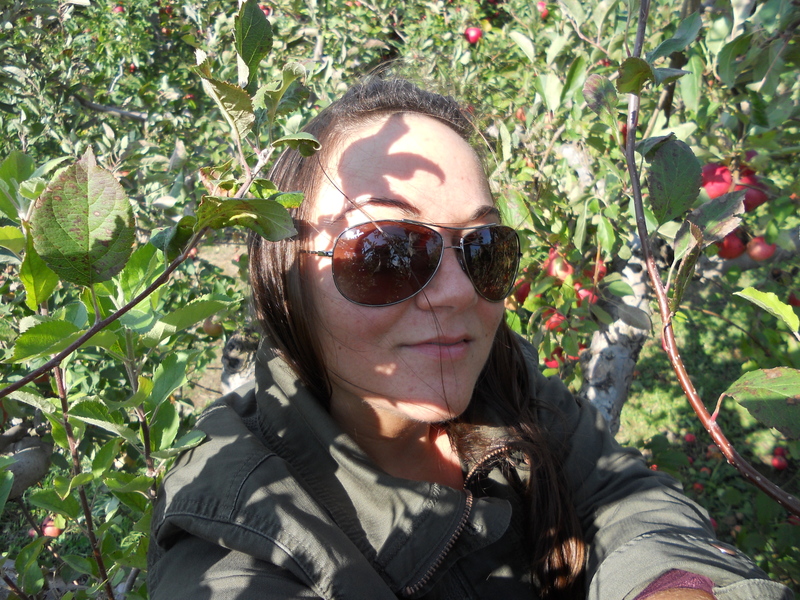 Welcome to the new blog!! In case you can’t tell by my obsessive use of exclamation points, I am thrilled you are here! As a way to say “thank you” for being a part of this blog, the facebook page, my life and the things that matter to me; I want to give you a gift. Actually, I would love to give a gift to each of you, but since I can’t do that I will choose one of you to win this AWESOME new book from “Food in Jars.” For those of you who follow this blog and the FB page, you already know I am, obsessed with all things canning, if you are new, here is a heads up, I LOVE canning! Love love LOVE it. I love preserving food at the peak of it’s freshness. Perfectly ripe berries I pick myself, tomatoes I grew in my back yard, cucumbers from the farm down the street; I love it all. 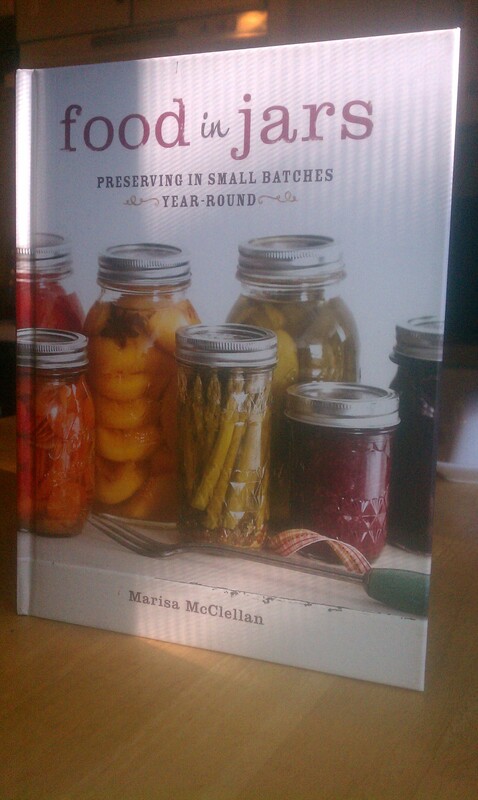 This book is great for both the canning newbie and the long time canner. So here we go! To win this amazing cookbook by “Food In Jars”, you must “like” “Burlap and Butter Knives” on face book, leave a comment below telling me you want to win and that you like Burlap and Butter Knives on facebook! If you haven’t liked it yet, go and like it and then leave a comment letting me know that you like it and want to win! For a 2nd chance to win, sign up to get Burlap and Butter Knives in your inbox, look on the right side of the page where it says Subscribe, enter your email address, and subscribe. Remember to leave a comment for each entry, a total of two entires max. As a disclaimer, this is open to US residents only. Contest will be open until 11:59pm Sunday, February 3rd, 2013. A winner will be chosen Monday February 4th, using random.org and notified that same day. The winner has 3 days to respond, if no response is received I will pick a new winner. These opinions are entirely my own. In fact Food in Jars didn’t even give me the book I am giving away, I bought it myself, because it is THAT good and I wanted to shard the knowledge and recipes with you! I love it that much! Baked Buffalo Chicken Dip Bites, Just In Time For Superbowl! In our house, “Buffalo Chicken Dip” is a football favorite, but for only two people one batch makes much more than we could should ever eat in one sitting. I would make a batch and there would be so much left over, I hated seeing it go to waste. Finally, I started making one regular sized recipe and then, before baking it, breaking it down into smaller portions that could be stored in the freezer to have another day. With Superbowl Sunday just around the corner, the timing for these is kismet. Everyone knows, aside from the commercials, the best thing about Superbowl Sunday is the snacks! (hence the entire pinterest board I devoted to the subject.) This past weekend I was nose deep in a new book I am absolutely loving, “The Faux Pastry Chef”, by Mimi Fix; I highly recommend it! I wanted to make something that would be a perfect football sunday snack, but with minimal effort. There was Buffalo Chicken Dip in the freezer, and Wonton Wrappers in the fridge, hmmmm what could I make? 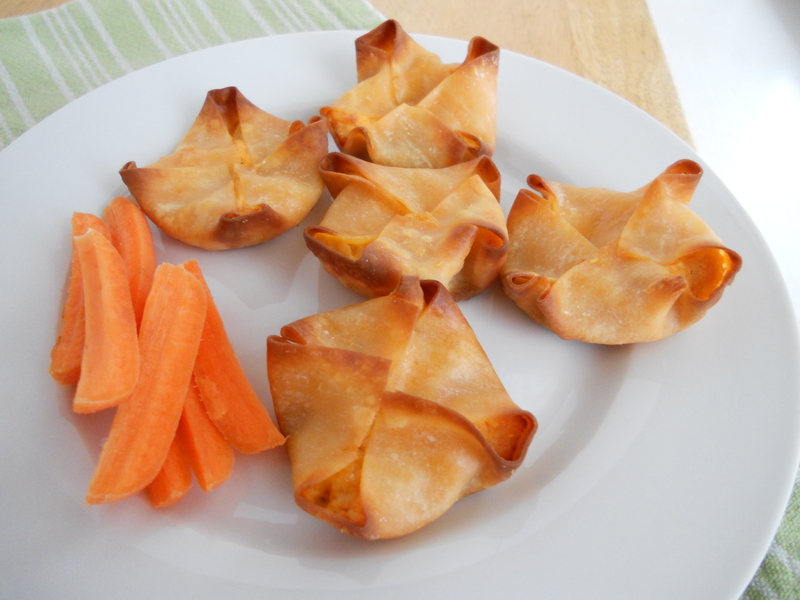 In the interest of full disclosure, I actually always have Wonton Wrappers on hand, you never know when you will need to wrap, deep fry, or bake little pockets or rolls of tasty deliciousness. 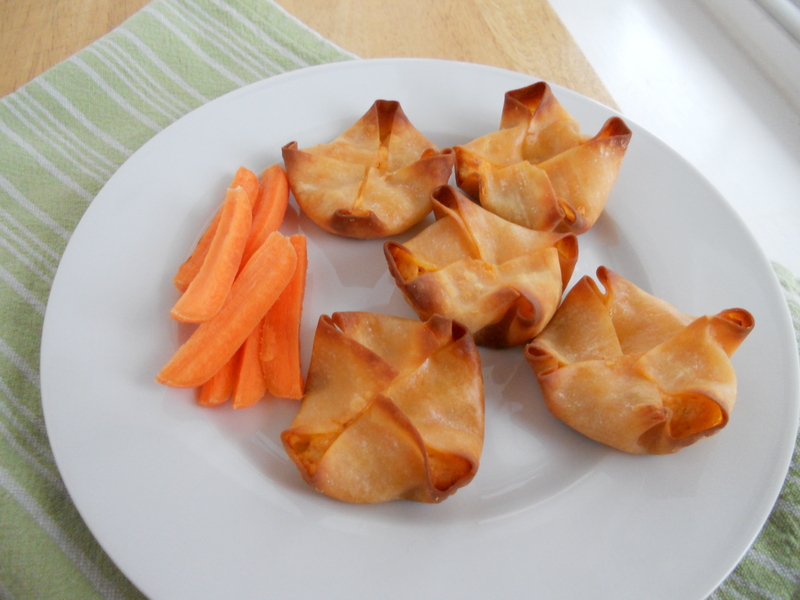 There were a lot of “Buffalo Chicken Cups” on pinterest, but the ratio of filling to wonton surface was lacking; there was too much empty wonton. 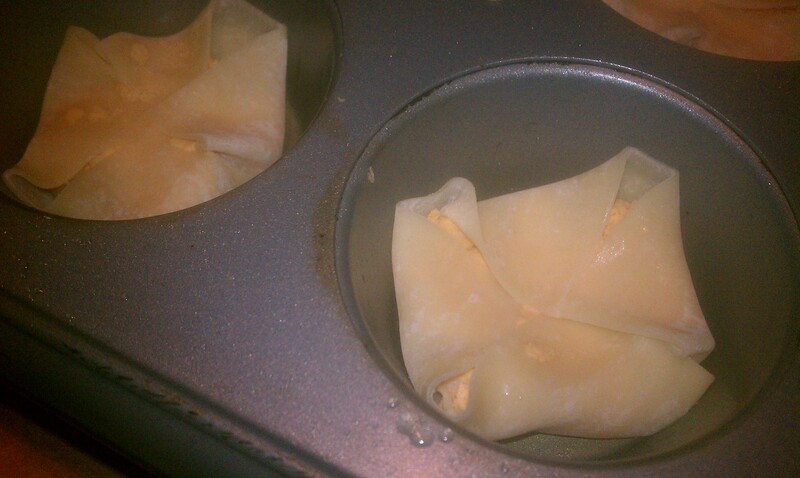 Plus, once the wontons are baked they can be very hard, so to have jagged corners sticking up in can be a pain. Seriously, have you ever accidentally stuck one directly into the roof of your mouth? It hurts! I thought I would give something a try. Use the Muffin tins as a support system, but fold the wrapper down onto the dip, thus creating a little pocket! Low and behold, it worked! Of course, this is provided you already have the buffalo chicken dip on hand, but you could very easily make a batch, use what you like and freeze the rest to use another time! How it looks folded down. 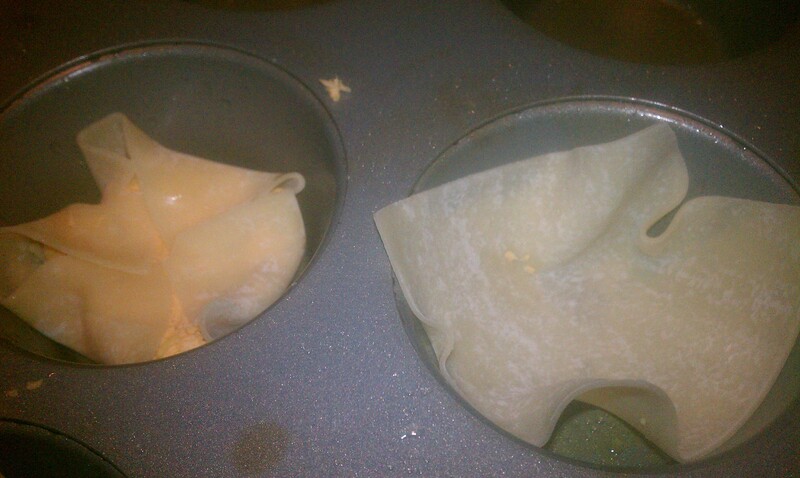 Fold the edges of the wontons down onto the dip and push down just a bit to make sure they stick. If they pop up just push them down again. Let sit in the pans for a few minutes just to cool off, then pop out onto a plate and enjoy! All they need is some dip! Green Skies and Sugar Trips is now Burlap and Butter Knives!! I am really looking forward to bringing you even more delicious recipes, gardening tales, canning information and whatever fun things we stumble into along the way. If there is anything you would like to see here, I would love to post it for you! Are there any topics in particular you want to learn about? Something you have always wanted to try making but haven’t? Let me know! If you have cooking, baking, canning or gardening questions, post them here in the comment section, on the Facebook page, or email me, I will be happy to answer them. Thanks for being a part of this exciting new chapter! Happy New Year, and here’s to an amazing year ahead! Cin Cin!